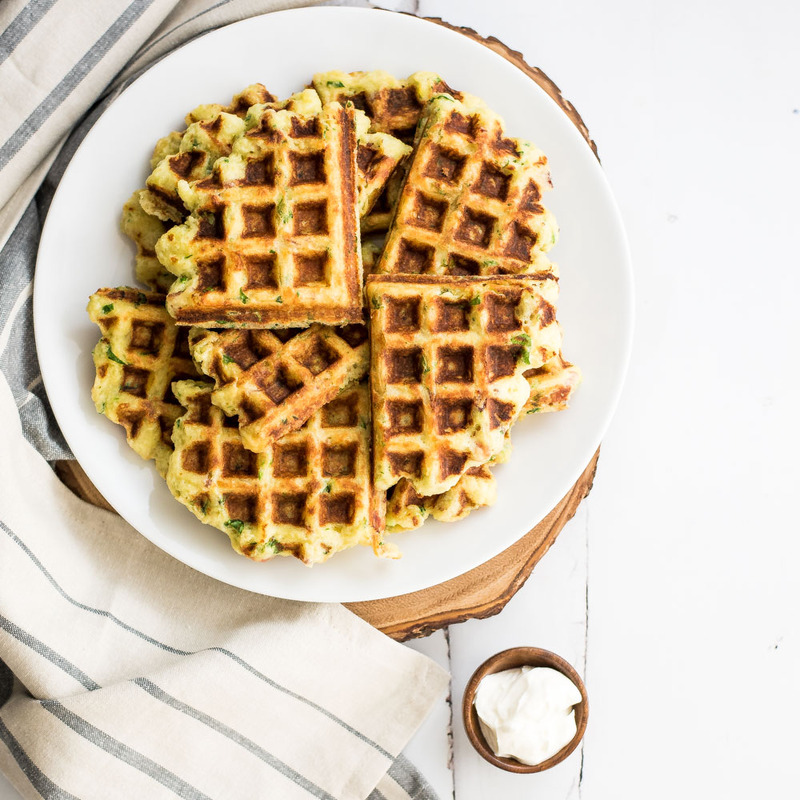 Goat cheese and spinach mashed potato waffles are a great way to use leftover mashed potatoes. 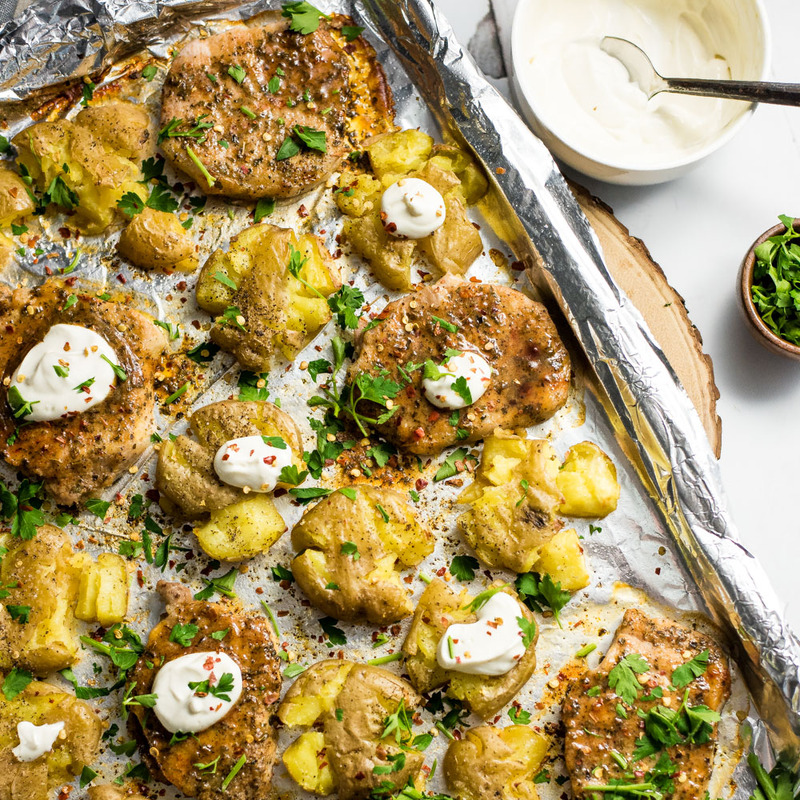 They make a great side dish or bite-sized snack! 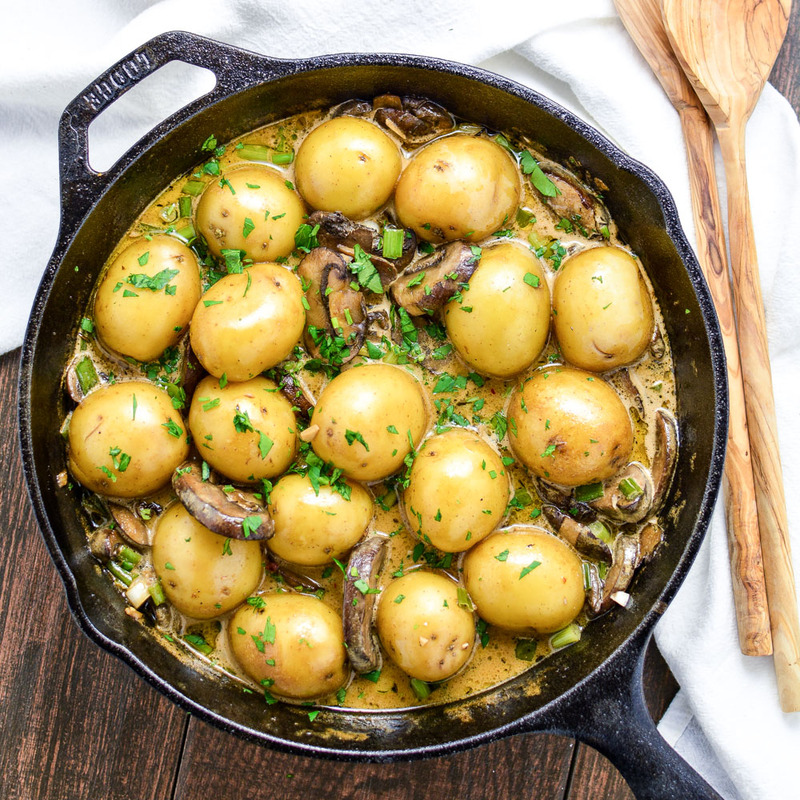 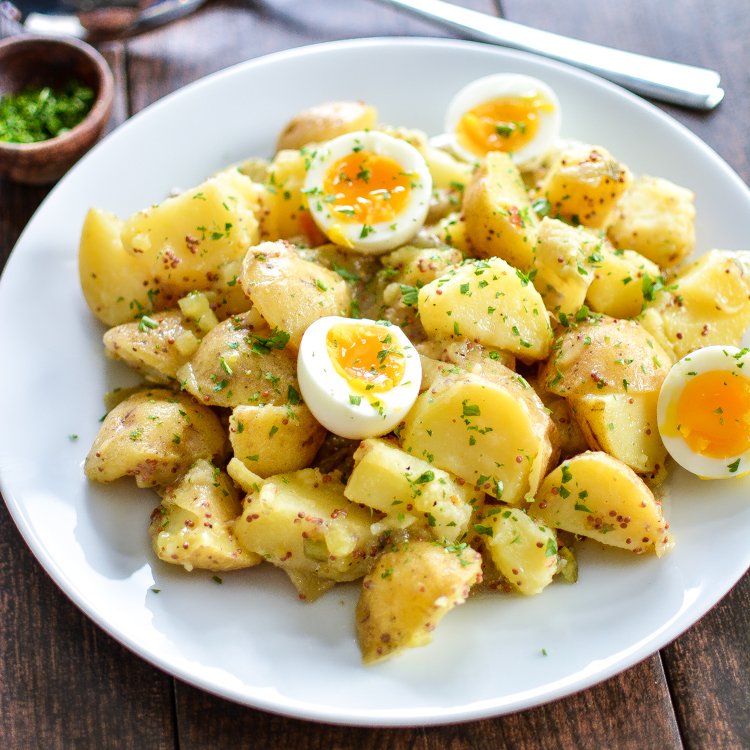 Skillet Potatoes with Creamy Pilsner, Mushroom Sauce is the perfect side dish recipe! 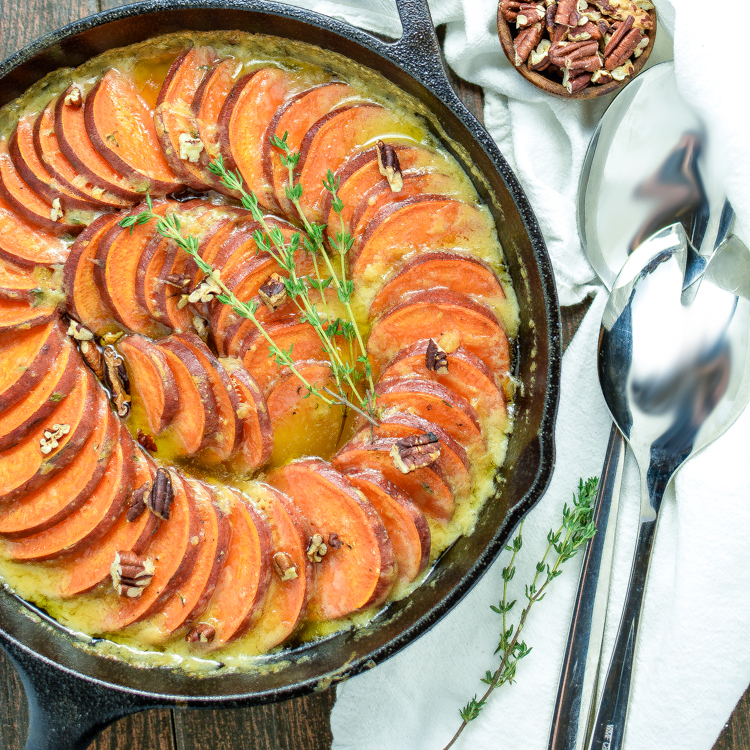 Skillet Scalloped Sweet Potatoes with Maple Bourbon Brown Butter is a must-have side dish recipe for your Thanksgiving Day dinner spreads.